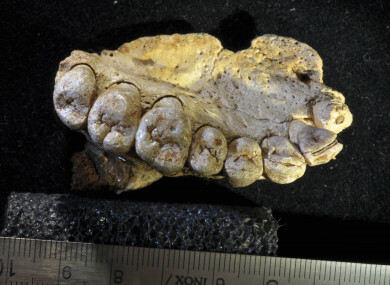 The jaw was found in 2002 in the collapsed Misliya cave on the western slope of Mount Carmel. Researchers spent the last decade-and-a-half looking for more remains and other fossils before publishing their study. They say the jaw belonged to a young adult of unknown gender. The tool supply in the cave and other evidence were so complete it basically showed “industry” by the early modern humans, she said. “This guy or woman would have been very busy,” she said. He didn’t have enough time do this. He couldn’t have made all of it. He must have had some friends. Email “These Israeli teeth show modern humans left Africa 100,000 years earlier than thought”. Feedback on “These Israeli teeth show modern humans left Africa 100,000 years earlier than thought”.